use this box if you would like to provide your own horoscope reading. leave blank if you want to use ours. It's written in the stars! 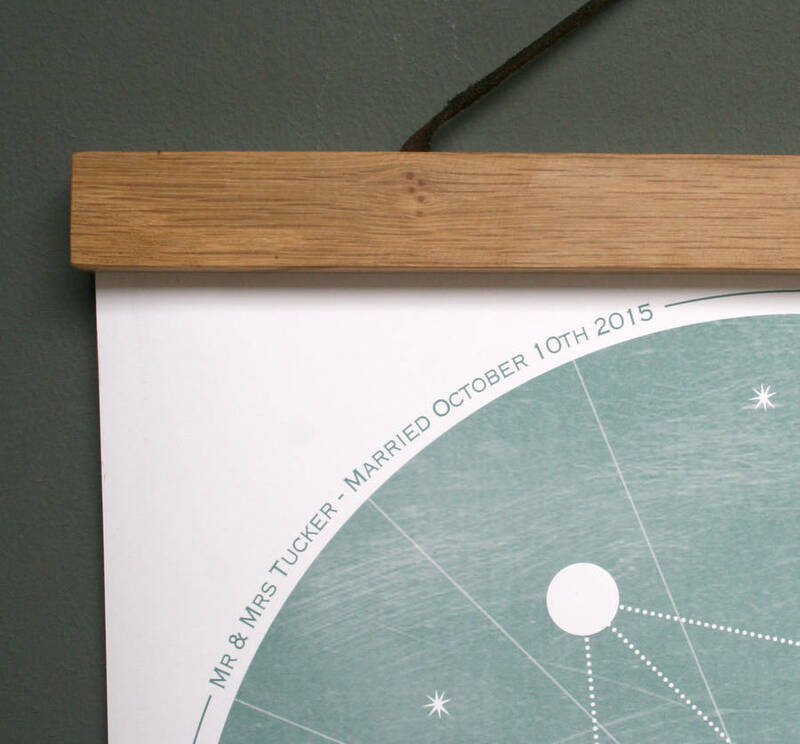 Or so this personalised wedding zodiac print says. The zodiac sign a couple are married under can say a lot about their future togther. 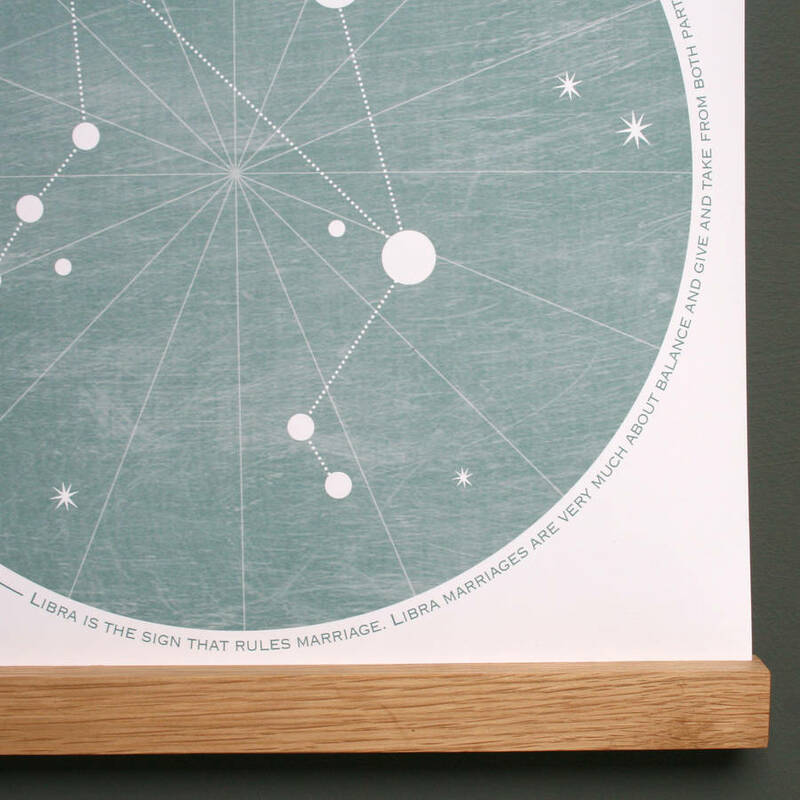 Inspired by all things starry, this striking zodiac print will inject a bit of fun and a lot of romance by combining a personalised zodiac sign and meaning along with your chosen wedding details. An ideal gift for any happy couple, as a wedding keepsake, wedding anniversary gift or new home present. Simply provide us with your names and dates and we will do the rest. Alternatively, if you would like to play astrologer, provide us with your predictions and we'll use them on your design instead of our own horoscopes. 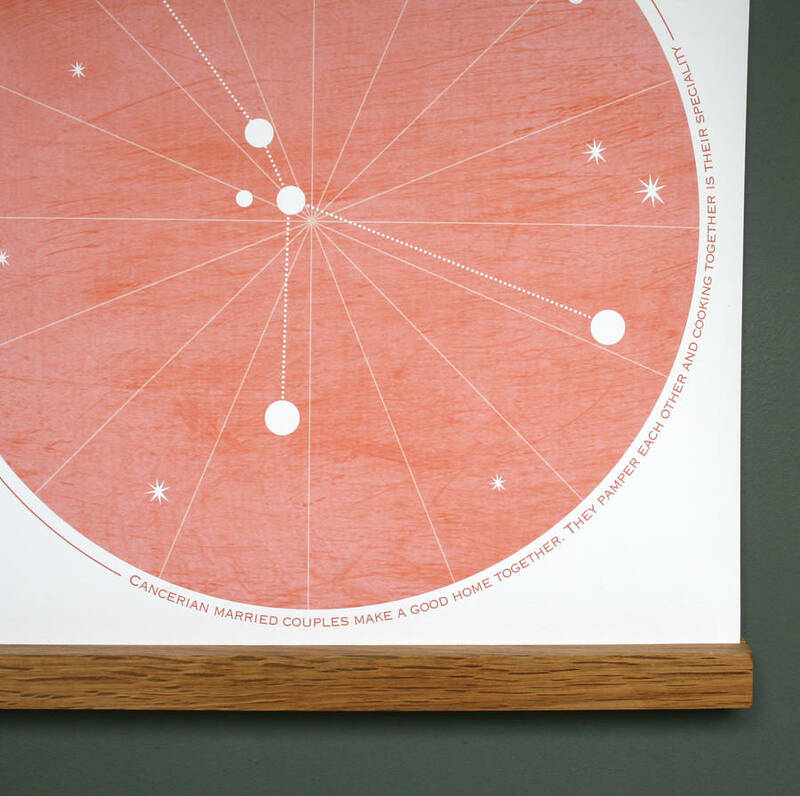 Framed in a beautiful and totally on-trend oak picture hanger, this is an ideal gift for any style-savvy couple. 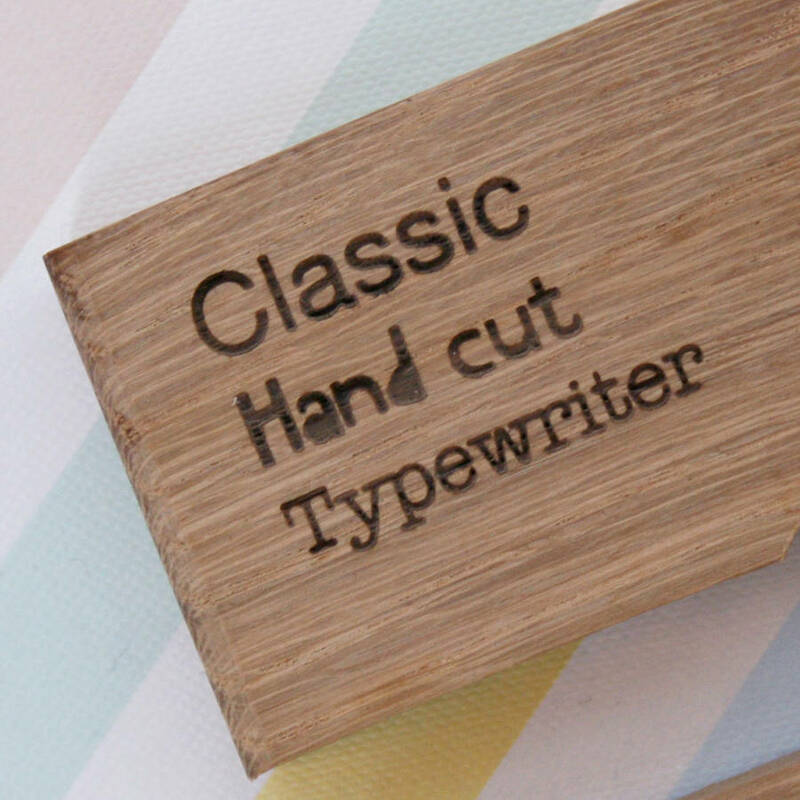 The frame can be engraved for an extra special touch. 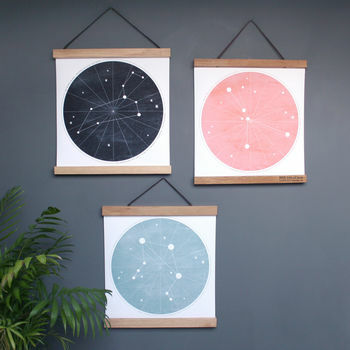 Available in night sky, solar green or jupiter red. Your print is printed on a lovely matt acid-free, heavyweight paper 280g, smooth white, cotton based, British-made and museum quality. 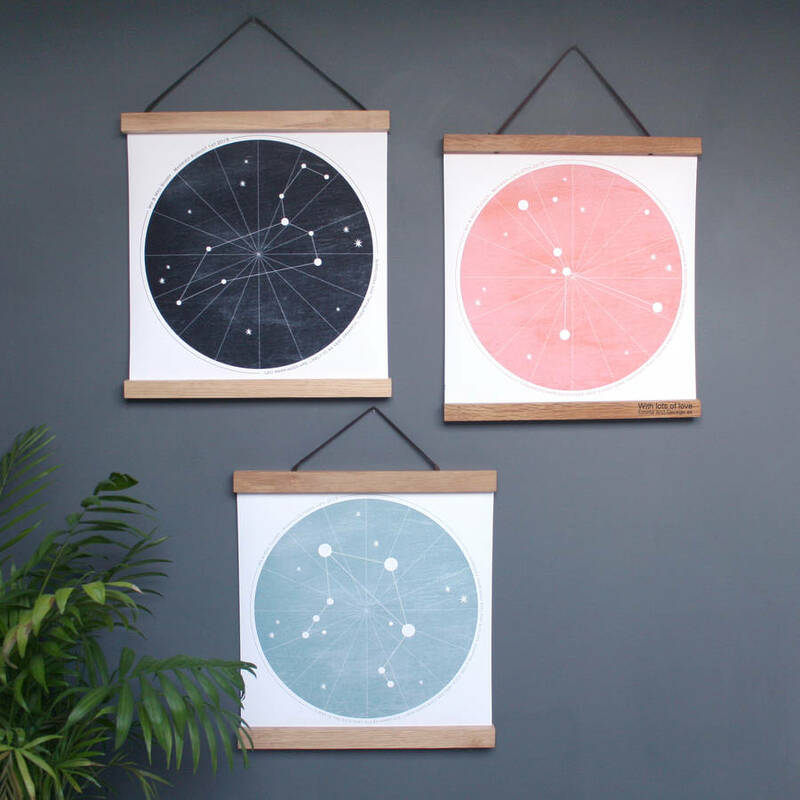 Framed in solid oak hangers, ready to hang. This product is dispatched to you by modo creative.